It's January and we are looking forward to this year's fishing.....tournament and league schedules have been posted. On Saturday, September 22nd at 6pm CV Bass League is hosting the Tuesday night league pizza party at CV Rod and Gun Club in Elkland Pa ...all who fished our Tuesday night league are more then welcome to come; loved ones are welcomed to attend as well. Such a gorgeous, sunny day to be on the lake fishing. 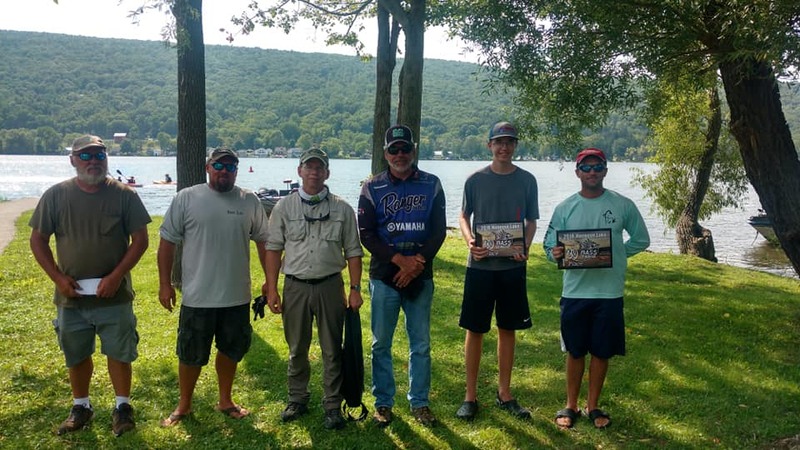 This week's tournament brought in 20boats. 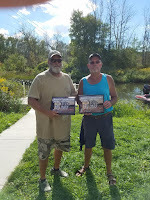 The winning weight went to Joe Horton and Chris Cartright weighing in 5 fish with a total weight of 17 lbs. 3 oz, they also scored the lunker at 5 lbs. 10 oz. CV Bass League would like to thank everyone who came out on this cold, breezy day to hook a few fish. Also, thank you for baring with us with the technical issues with the scale during weigh in. This week's tournament brought in 15 boats. 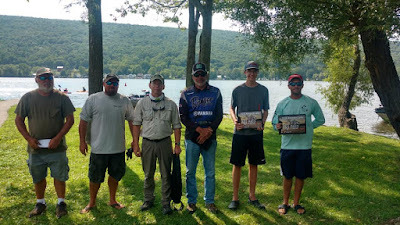 The winning weight went to Charlie and Jason Zink weighing in 5 fish with a total weight of 11 lbs. 15 oz,. Dustin Dennis and Joe Osgood weighed in the lunker at 3 lbs. 10 oz. A beautiful day to be fishing on the lake. This week's tournament brought in 33 boats. The winning weight went to Alex Kody and Adam Johnston weighing in 5 fish with a total weight of 14 lbs. 0 oz,. Scott Bliss and Kerry Rice weighed in the lunker at 4 lbs. 10 oz. ; they also came in third place in the tournament. The rain made for a soggy day on the lake. This week's tournament brought in 22 boats. The winning weight went to Bret Flynn & Kim Lowe weighing in 5 fish with a total weight of 16 lbs. 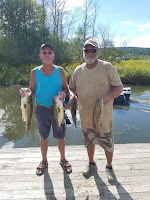 6 oz, The lunker went to Dave & Bonnie Wise with of 5 lbs. 2 oz.